I am giving up your approval for Lent. To which my husband said, when I told him, "I approve of that." "Dear, you may support me and hold me accountable, but not approve." 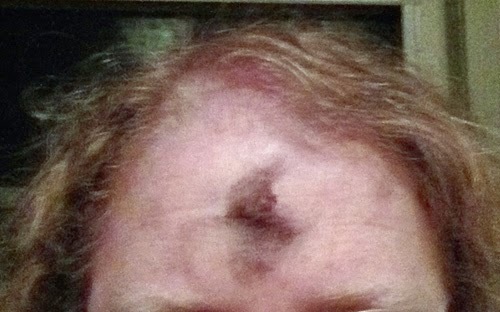 This realization came to me Ash Wednesday night, after I was unexpectedly enlisted to impose ashes at our combined Episcopal/Catholic service. And then I asked: did I read the prayers slow enough? Was the silence too short? Too long? Who IS this crazy person?!?! And that's when I realized that just when I thought I had the "needing others' approval" thing under control, I don't. It doesn't matter why it's back but let's just call it increased uncertainty. It's insidious this seeking of approval so this is going to be a tricky one. I don't seek your approval by putting this out there either. It's here for accountability purposes only and if anyone else needs to deal with and wants to walk along, you're welcome to let me know. This is a really cool idea! No idea how I would go about doing this, since trying to get people's approval is kinda a big issue for me. It seems to be more of a woman's issue, maybe because of the way we're socialized to be more acquiescent, less assertive.